On Tuesday, December 2, 2014, you can help us launch a new tradition by joining the national movement that celebrates generosity called #GivingTuesday. We’re excited to participate in #GivingTuesday. 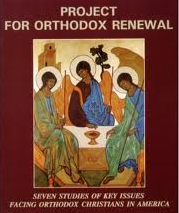 After all, giving is at the very foundation of St. Vladimir’s mission. Our professors give their hearts to teach the Gospel of Christ. Our students give their time to prepare for service in the Church. Our graduates give their lives to minister to Christ’s flock. Our goal this year is to raise $5,000 in 24 hours. And, thanks to 4 generous supporters pledging matching gifts totaling $20,000, your online gift made on December 2 will be multiplied 5 times. 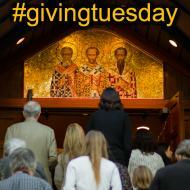 If you help us raise $5,000 on #GivingTuesday, St. Vladimir’s will receive $25,000! 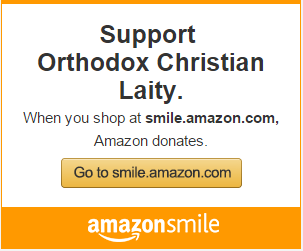 And because we believe in giving at St. Vladimir’s, we’ll be giving 10% of whatever we raise on December 2 to our suffering Orthodox Christian brothers and sisters in Syria, via His Beatitude John X (Yazigi), Greek Orthodox Patriarch of Antioch and All the East. Will you help us get the word out about #GivingTuesday? Share this page with family, friends, community groups, and any other personal contacts. Add a note about why you give, or what St. Vladimir’s means to you! Sign up to receive our #GivingTuesday emails and forward them to friends. Like us on Facebook, Twitter, or Instagram to participate in #GivingTuesday. Help us spread the word about #GivingTuesday by updating your cover photo and profile picture and sharing our posts. Take advantage of #GivingTuesday this December 2 and make your gift count for more! Help us meet this $5,000 challenge on December 2.